Co-op Members Benefit in Many Ways. The co-op board of directors occasionally reviews the benefits available to members. 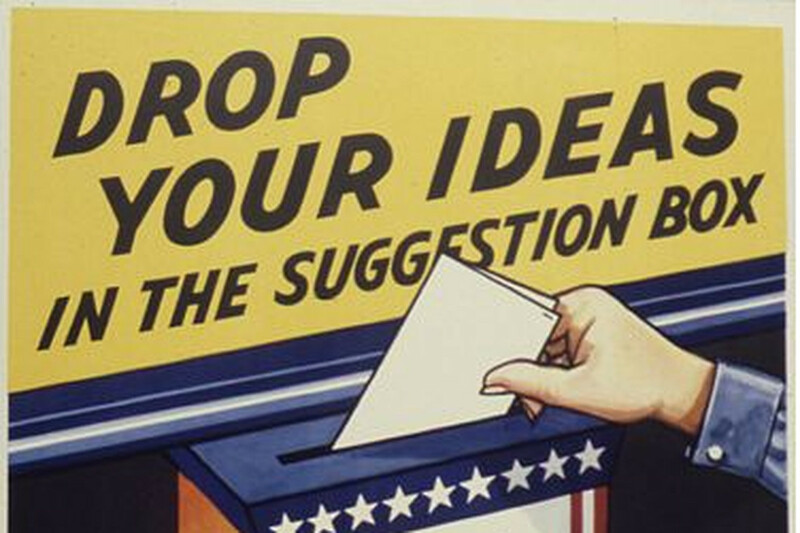 In a co-op, members control the policies by participating in the election of directors and suggesting improvements in economic participation in the co-op. That direct control, with one vote per one member irrespective of financial contribution, has been a hallmark of cooperative principles for decades. 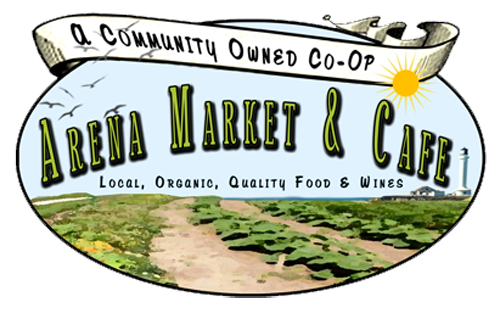 The 5% discount on all purchases may be the most obvious benefit to co-op members who shop at Arena Market and Cafe. The board acted last summer to reinstate this higher discount rate to encourage greater purchases in our modest-sized community. That worked. Co-op members purchased 50% more this June compared with last June. Thank you for your loyalty. Another discount gets added when you shop on our Member Appreciation Days, the first Friday of each month. We’ve learned that we need to better advertise this benefit so that more co-op members take advantage. A third way to save is shopping for case/box lots. The co-op offers members the opportunity to order items that our suppliers can provide in larger quantities, such as a case of waters you love or box of salad dressings or even a 50-pound bag of rice. These special orders are discounted below retail because the order can be larger and easier to handle. Talk with our General Manager, Mike, if you become interested in placing a special order. The co-op features natural foods, especially organic, gluten free and vegan offerings. We actively avoid products that include high-fructose corn syrup. We also strive to choose suppliers that identify non-GMO ingredients, but you can guess how challenging that becomes. Our co-op members who requested specific selections have been among our most loyal customers. You can help serve the community by telling us what you like, want or need. Another cooperative principle involves concern for the community. We source a variety of products from local suppliers, local farms, and local businesses. In some cases, those suppliers are also co-op members, and they get paid in store credit that in turn results in them shopping at the co-op. Oz Farm provides the largest amount of produce of produce grown locally to the co-op, but look for a future article that highlights many of our other local suppliers, large and small. Among our local suppliers are craft breweries and local wineries. Our beer and wine selection and their sales reveal support among co-op members who prefer these local brands and suppliers. Co-ops can negotiate better prices as a group of members than you might get as an individual. We have done that with Suburban Propane for co-op members in the local area who need propane. We are updating the process, so look for more details in the next newsletter as you get ready for the winter weather! Finally, the co-op hires your neighbors in our community. Our payroll exceeds $250,000 each year with an average of about 20-25 employees. Several of those employees have been working at the co-op for 5 years or more, and we continue to hire young people in their first real job. They receive an employee discount on their shopping at the co-op as a benefit of providing great member service to you. If you like their work, please tell them. And if they disappoint you, please ensure that you help us get better by talking with our General Manager, Mike. The management of the co-op follows policies set by the board. Members elect and serve on the board of directors. Your equity purchase of shares in the co-op provides funds to grow the business. As a member, you have the responsibility to ensure that the co-op serves our community. We welcome your involvement. President, Coastal Organics Cooperative, Inc.
Maria always has a smile and a kind word. She wants customers to feel welcomed in the store and get to know her. Maria can usually be found in the kitchen laughing and preparing food with right-hand lady Cecelia. 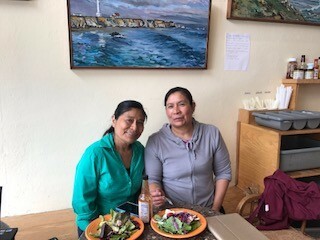 Maria and Cecelia consult each other about the flavors of the food they’re creating and as a team create the wonderful food we can so quickly grab and enjoy from the Co-op. Maria's favorite food at the co-op is ice cream. Cecilia Flores has been a cook and chef at Arena Market for seven years. I asked Cece what her favorite thing in the store was and she replied “coffee!” Cece said the only thing she might like different would be to come in later. Cece opens the kitchen and starts cooking at 6:30am; she confessed the only thing she might like to change about her job is the very early hours. Cece enjoys the local produce available at the Co-op. Especially parsley, kale and tomatoes. She reads cookbooks looking for recipes for the Co-op and welcomes customer’s feedback. Cece would love to hear about your favorite recipes! These two women are the heart and soul of our kitchen. They are hard working, happy and care about the quality of the foods prepared for us in the market. I feel blessed to have their dedication to cooking and creating to go items that are tasty and nutritious. Mix all marinade ingredients in small bowl. Slice tofu in to fairly thin slices (but keep in mind they will shrink). Spread tofu in shallow dish, top with marinade. Leave to marinate for a few hours up to a few days. Flip once. Transfer to baking dish and cook at 170 degrees overnight, 6-8 hours depending on thickness. Where are the cold chickens? Good news the chickens are fresh and in the cold box. We regret that due to usage sometimes they are just not available. Please be advised as the ordering in increase due to usage it is our sincere desire that they will always be available. Remember if you have need of a lot of them or for a special event you can always order by Monday afternoon to make sure of their availability. Thank-you for your continued patronage of YOUR co-op. Since this is the only comment I received this month, I want to remind everyone that the suggestion box is located directly across from the restroom on the top shelf. Paper and pen are provided. We really look forward to your thoughts needs and suggestions to make your shopping experience a happy one. We are committed to providing you with the best products and prices available. I would also like to remind everyone this is our annual membership drive please tell your friends and associates about the co-op and about the value of membership, including your 5% daily savings, plus an additional 5% on customer appreciation day the first Friday of every month. Members can also order bulk dry goods, wine, food by the case, etc. at an even greater savings. As yet another benefit for members, we have a new agreement on propane which allows members to save money every gallon of propane delivered including a lower price point on your tank rental. How to become a member? Drop by the store and fill out the application form. The total amount of shares that can be owned are 300 at $1.00 a share. You have many options is buying your shares. Initial share purchase of $50.00 (50 shares) and the balance can be paid quarterly or annually---it's up to you. You never pay more than $300.00 total and no additional dues are required. Please keep those suggestions and comments coming remember it's YOUR Co-op! 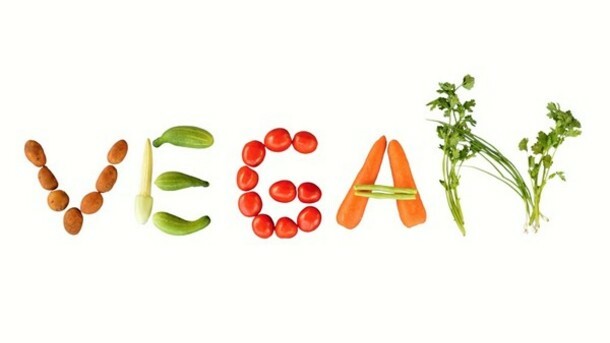 New and Exciting Vegan Goodies! 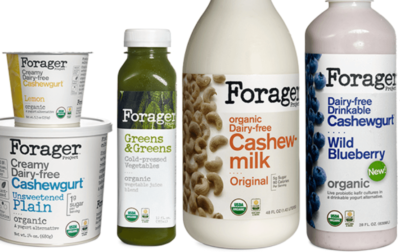 Forager is a new company based in San Francisco that makes cashew-based yogurts and milks, as well as a slew of other products (juices, chips and kefir). Their yogurts are thick, creamy, not too sweet and oh so delicious. I’ve been searching for a vegan yogurt like this for a long, long time. My life is complete. From their website: Born of principles, Forager products are always organic, minimally processed, free from dairy and borne from the earth. We search, seeking ingredients guided by our principal belief that vegetables, nuts, seeds & ancient grains are core to a good diet. Kite Hill is another new non-dairy yogurt. These are almond based. They’re not quite as thick as the Forager brand yogurts, but the flavors are wonderful. 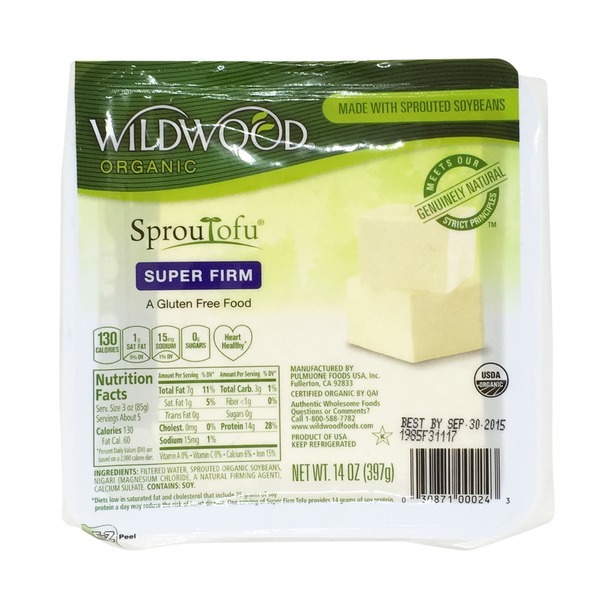 Wildwood extra firm sprouted tofu is high in protein, easy to digest, and almost dense enough to not have to press. I’ll include my super simple recipe for some tofu jerky. So good and handy to have on hand as an “emergency snack”. trust me, you want to make this jerky. 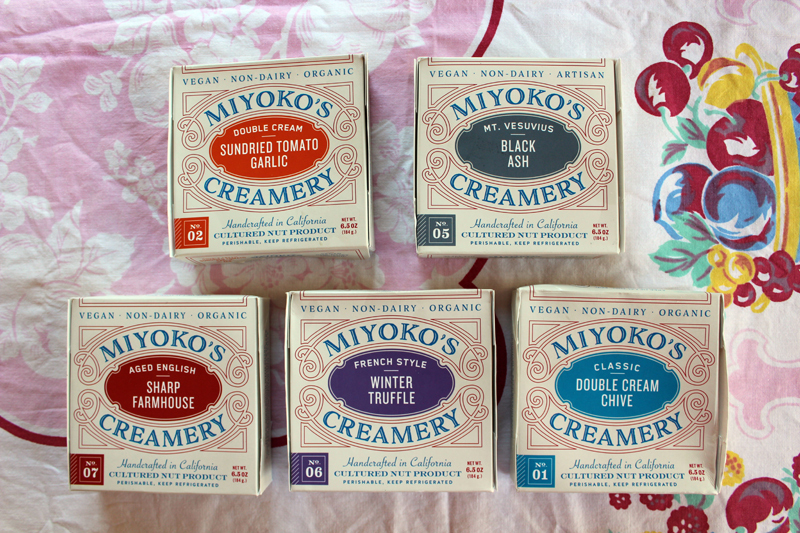 Miyoko’s Creamery has revolutionized non-dairy cheese. Miyoko is a longtime vegan, founded a farmed animal sanctuary, hosts a vegan cooking show on PBS, and now, lucky for us, she's making the most glorious, decadent, flavorful and nutritious vegan cheese. These cheeses are organic, cashew based and cultured. The bree style cheeses are perfect on a rice cracker with a slice of dried fig. And the fresh mozzarella is great sliced on pizza! Italian style - yum! Lilly’s Roasted Red Pepper Hummus makes an awesome sandwich spread! Smear some on a Wildwood baked tofu sandwich for a deep, smokey flavor that is to die for. This is the hummus to end all hummuses. 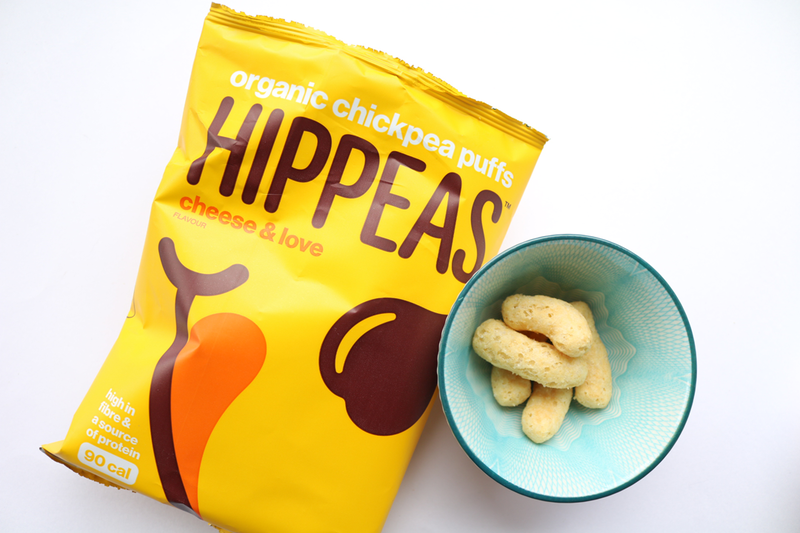 Hippeas crunchy vegan cheese puff alternative made out of chickpeas with a good amount of fiber and protein to make for a satisfying and filling snack. Aside from cheese flavor there’s also sriracha, pepper and hickory. 8/4 ~ Member Appreciation Day! Members save even more when they shop on the first Friday of the month! Board meets the second Thursday of the month at 4pm in the conference room at RCMS in Point Arena. Copyright © 2017 Arena Market & Cafe / Arena Organics, All rights reserved.